Empowered with the team of expert knowledgeable professionals involved in manufacturing the Bio Medical Steam Sterilizer. Our range of products includes Bio Medical Steam Sterilizer such as Bmw High Speed Sterilizers, Bmw HPHW Sterilizers, BMW Rapid Sterilizers and BMW Sterilizers. The offered high speed sterilizers are designed by our experts by utilizing high grade basic materials in line with international quality norms. Our offered Bio-Medical steam sterilizers assists in sterilizing bio-medical waste comprising liquids, solids, sharps and laboratory work fritter away which may have high possibility to be infectious or unsafe and come under bio waste class. 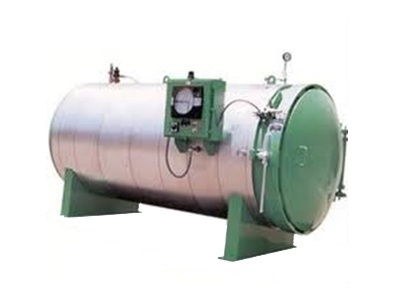 The waste is heated indirectly by providing steam in the jacked instead of main chamber. Our Bio-Medical Steam Sterilizer manufacture is totally Micro-processor controlled and highly automatic. It produces very Low noise. Shock proof & insulated as per safety norms.